Sign up to get premium content, free music, and get tickets on pre-sale before they are publicly available. We respect your privacy. You will only hear from Sketchy musicians. Thank you! Please confirm the subscription by clicking a link in the email we sent you. Misha Piatigorsky breaks out of the trio setting to magnify his musical vision — through a kaleidoscope of voices the audience experiences the composer’s mind at work. Who are we? Who the hell knows. We don't fit into a box with a label. What we are is an experience – a brainchild of pianist and composer Misha Piatigorsky. For lack of a better phrase, we are a "fusion of 14 different things" to quote band member, violist Celia Hatton. For us music is a religious and spiritual experience. We take your breath away and we tell an honest story – through music. This is #FLAMM and bunch of other people that we are. 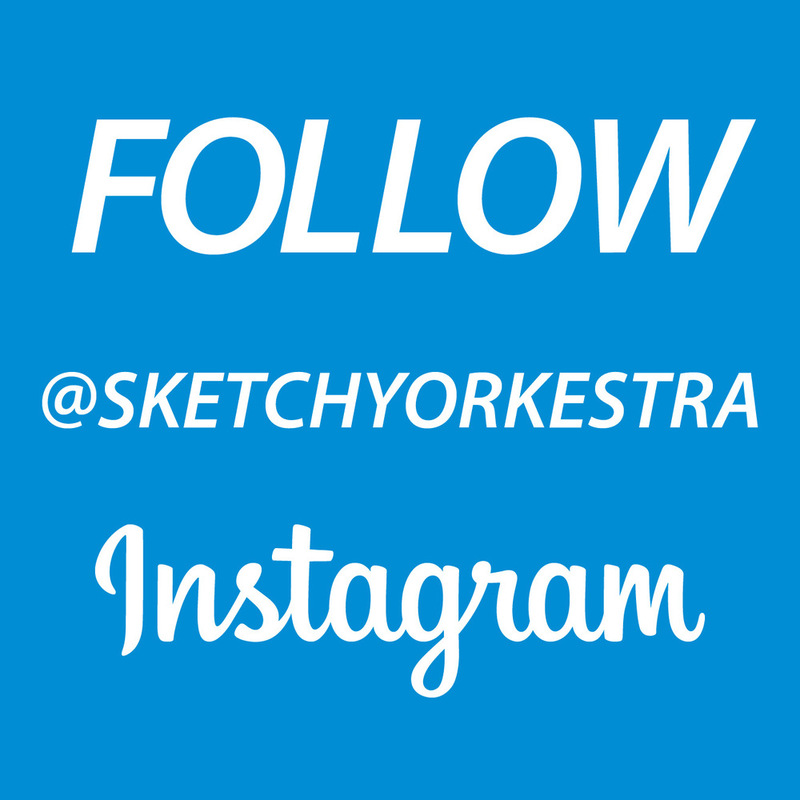 Experience The Sketchy Orkestra #LIVE tonight @zincbar — 2 sets at 8 PM & 10 PM. Usually, I play with a trio — probably the most versatile partnership in music. Each of the performers has his own role, makes his own tune, contributing to the same cause — a signature, momentous sound full of individual creativity. It’s about understanding how art works. it’s an act of artistic expression. You don’t do it because it’s easier. You do it by commission. It has to exist, for the audience, and for the performers. This act is a vortex of creativity. It brings people together to make something new. Something that has not existed before. Without it art never gets done.